The awarding of the European Inventor Award by the European Patent Office (EPO) took place for the 13th time this year. Since 2007, and for the 12th time in a row, the European Patent Office relies on the expertise of the Munich team of the agency for events and live marketing VOK DAMS, which this time again is responsible for the staging of the event. Around 600 guests from politics, business, intellectual property, science and academia attended the event in Paris, Saint-Germain-en-Laye. The winners come from seven countries (France, Germany, Ireland, Netherlands, Switzerland, Russia and the US), and include four women, the highest number ever in the history of the Award. The annual Award honours individuals and teams who with their inventions have helped to advance technology, further social and economic development, and generate employment. The winners were chosen by an independent international jury from more than 500 individuals and teams of inventors put forward for this year’s Award. 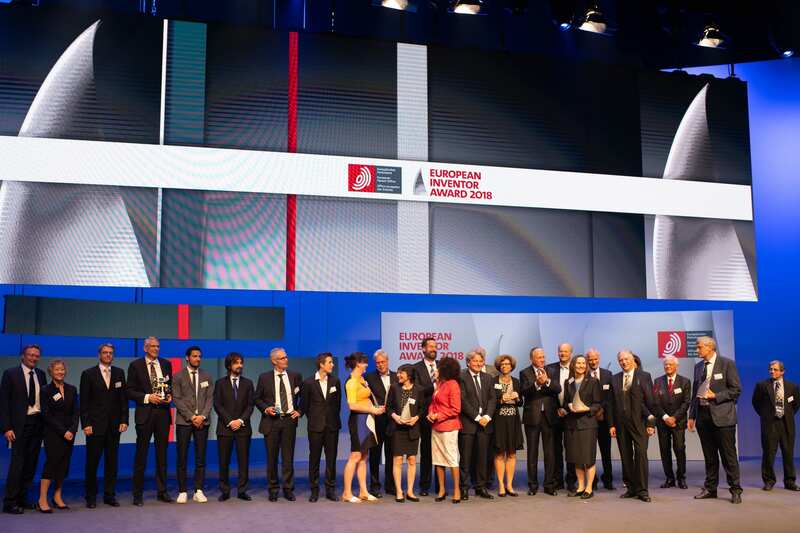 “The inventiveness and creativity of this year’s European Inventor Award winners highlight Europe’s attractiveness as a prime technology region for scientists and inventors from all over the world,” said EPO President Benoît Battistelli at the Award ceremony. Agnès Poulbot and Jacques Barraud † (France) for a self-renewing tyre tread. Jens Frahm (Germany) for increasing the speed of magnetic resonance imaging (MRI) in real time. Esther Sans Takeuchi (United States) for the development of long-life batteries for implantable cardioverter-defibrillators (ICDs). Jane ní Dhulchaointigh and Team (Ireland) for Sugru, a multi-purpose mouldable glue. Ursula Keller (Switzerland) developed the SESAM mirror – a practical method to turn continuous laser light into ultrafast laser pulses.